It had been quiet a time, nearly 6 months that I had been to any vacation. Never too late though, me and my wife decided to go for a peaceful vacation to Udaipur, Rajasthan. 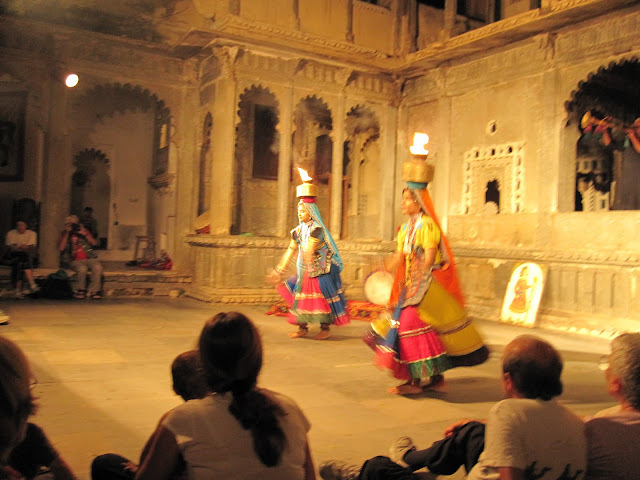 Famous for its beautiful lakes, temples and city palace; Udaipur attracts tourists from all over the world. 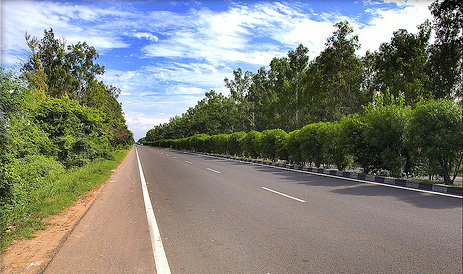 Located at approx 650 kms from New Delhi, it is well connected by air, train and road. This time we chose the most preferred way of traveling, i.e. by train. My wife was pretty excited about the train journey, and I was not sure as I was going to travel in a train after 8 years. It was an overnight journey (nearly 12 hours) which we completed mostly with our eyes closed and minds switched off and body shaking. I woke up in the morning with the voice of a tea vendor which actually sounded like music to my ears as I wanted one badly (just the tea, not the vendor). It was 7 in the morning and we almost reached Udaipur. The night was pretty cold and I was still shivering even after hot cup of tea. Shaking, we got off the train as we reached. Train did shook us pretty well. We hired a cab to reach the hotel which we booked online. The hotel was not too far from the railway station and the location of the hotel could not be more perfect. Hotel Mewar Haveli located at Lal ghat has an awesome view of the lake Pichola and is located near most of the famous destinations in Udaipur. We checked in to our hotel earlier than our check in time and crashed on the bed tired and woke up late in the noon, which we are still not very proud of. After wasting few crucial hours, we left to see one of the most famous and beautiful destination, The city palace. We were so excited that we even forgot that we were alive on just a cup of tea that we had in the train. At around 4, we finally ate something, and that something was Pani Patase. We learnt a new name for famous Gol Gappe's as known in Delhi and Pani Puri as known in Mumbai. 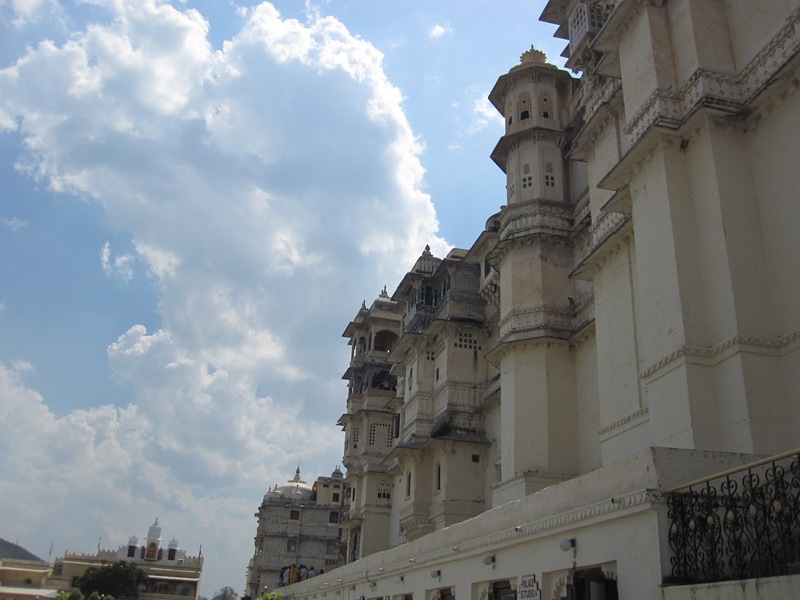 City palace is a must go to experience the history and the marvelous facts that are associated with this city. In the evening, we checked out Bagore ki haveli. 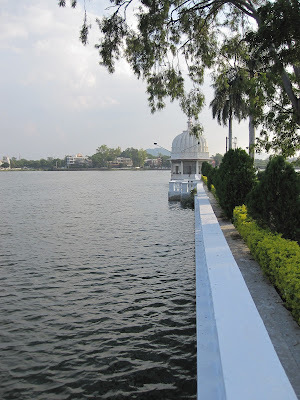 It is right on the waterfront of Lake Pichola at Gangori Ghat. 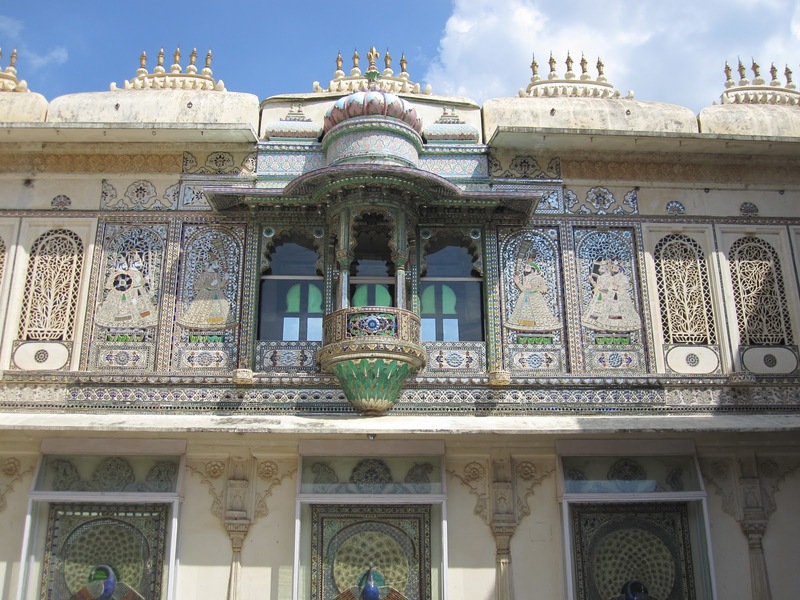 Amir Chand Badwa, Prime Minister of Mewar, built it in 18th century. It has over a hundred rooms, which display costumes and art. 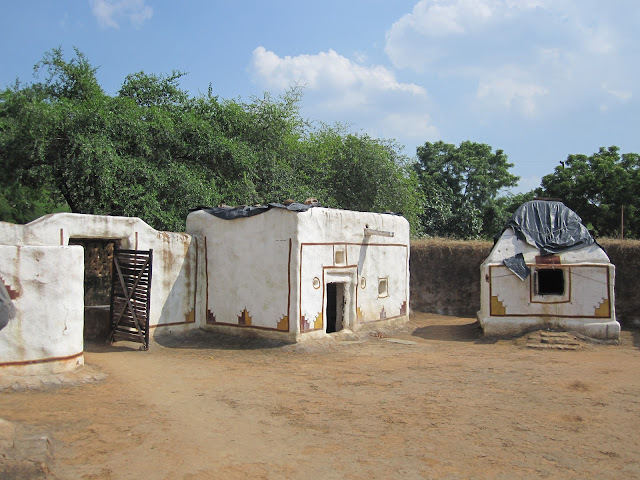 It is said that 5 kings had spend their childhood at Bagore ki haveli. 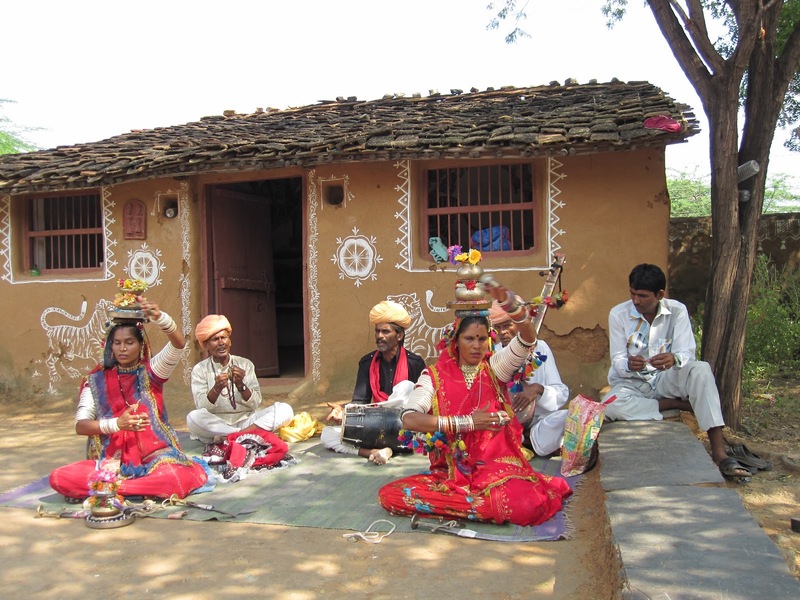 It is under government now and every evening between 7 - 8, folk dance is performed there by authentic Rajasthani artists. We booked tickets in advance and were lost in the mesmerising folk dance by various artists depicting various dance forms within Rajasthan. Later, we enjoyed a romantic candlelight dinner at the rooftop restaurant of our hotel; overlooking lake pichola. Next day, we had lot of places to go and we left early in the morning; but first we had to do the most important thing, breakfast. I was craving for special onion kachoris which I had in Jaipur in my previous vacation, I located one shop which sold these onion kachoris in Udaipur. Taste was not the same which I was looking for, but without much choice, I had to settle for those. We opened our map and planned the route. Our first stop was Pratap Smarak, this was a huge park theme museum of Maharana Pratap and showcases all facts about this great ruler. Fascinated, we moved towards our next destination, Saheliyon ki Bari (Courtyard of the Maidens). 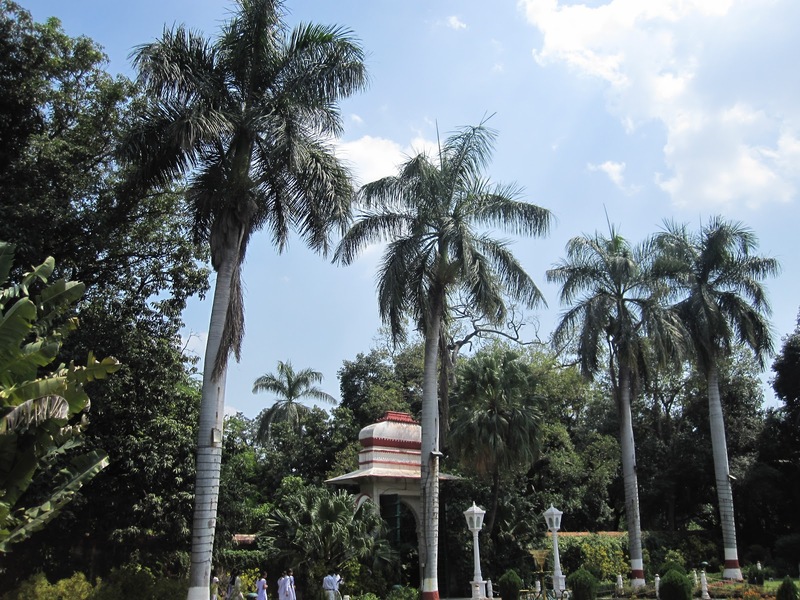 Saheliyon ki Bari is a major garden and is a popular tourist spot. 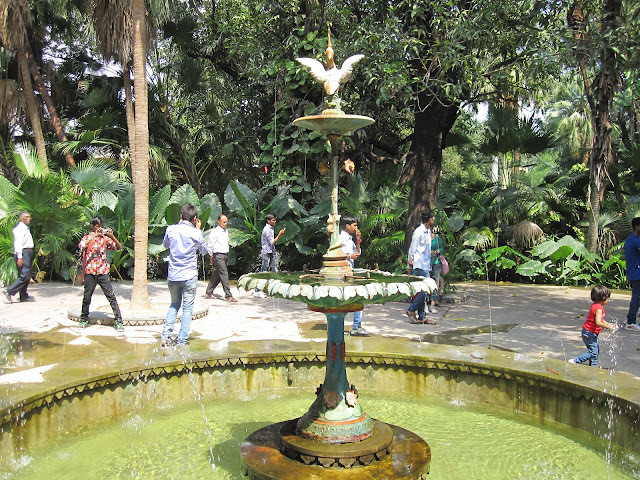 It has fountains and kiosks, a beautiful lotus pool and lot of marble elephants. It was built by Maharana Bhopal Singh. As the legend says, it was laid for a group of forty-eight young women attendants who accompanied a princess to Udaipur as part of her dowry. With our eyes filled with magnificent beauty of the garden, we left for our next destination, Shilpgram. Shilpgram is a heritage village located near Fatehsagar lake and I found it to be the best tourist spot in Udaipur. 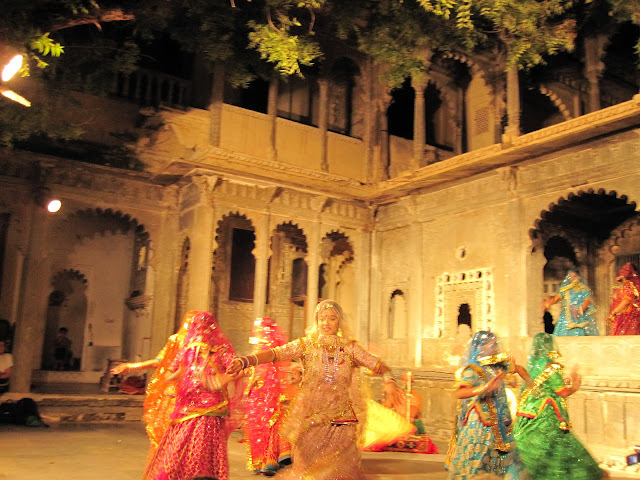 It is built as a theme village of Rajasthan and is home to lot of Rajasthan's cultural folk artists. It is undertaken by Government and is spread over a huge area. As we entered, we were surrounded by men and women in traditional dresses who started dancing as a part of tradition, welcoming us. We moved further towards other artists who entertained us with their best. 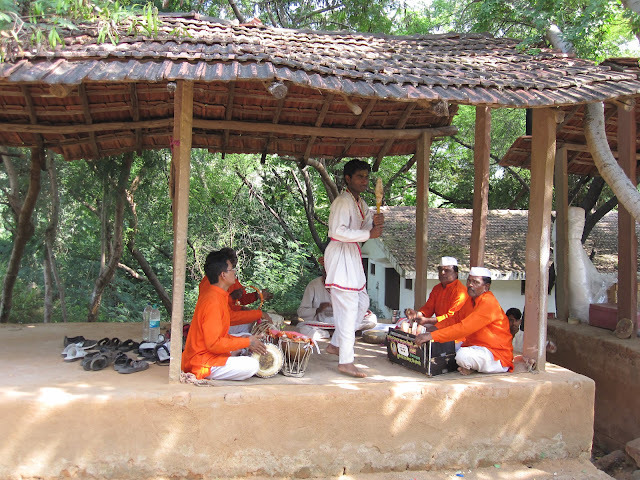 The amazing part was that all the artists performed from their hearts which made the whole visit beautiful and we actually felt like we are in a traditional village and are one of them. My wife learnt how to built a pot from the potter, she even built one and I tried my hands on a Rajasthani music instrument which forced all artists to close their ears. We saw the beautiful homes as they used to built in Jaisalmer which used to stay pretty cool in summers and required no additional cooling equipments. It is a surprise to know that how the old homes were engineered. 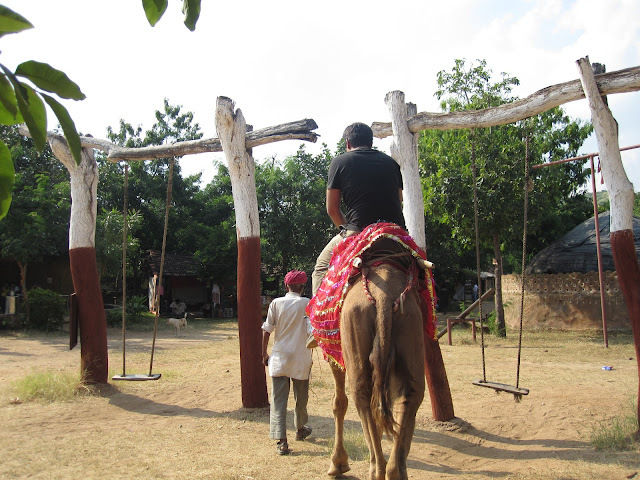 We ended our Shipgram visit by riding camel. The owner of those camels was an old generous man and told us his stories. The old guy told us that his camels were used in the shooting of movie Fiza along with the great actress Karishma Kapoor. We thanked him for his generosity and moved on to our next place on our map. 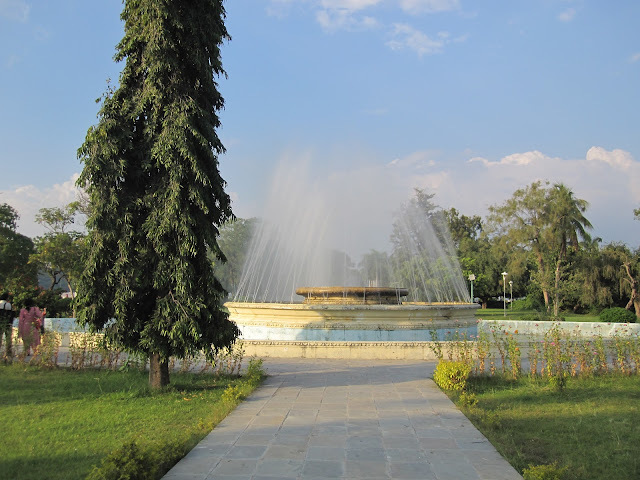 Nehru park is built on a small island at Fatehsagar lake. We boarded a ferry which took us to the beautiful park. My wife loved the place as she noticed the green lush grass and beautiful flowers. It was 5 in the noon and we spent our time relaxing in Nehru park and later we enjoyed the beautiful sunset. Tired, we took the ferry to return back and enjoyed a romantic walk along the Fatehsagar lake and returned to our hotel. We had quiet dinner at the roof top restaurant and enjoyed the view of Lake Pichola. One thing that caught my interest was a fort which was quiet far on a hill and was illuminated with golden lights. I got to know that it was Monsoon palace. The Monsoon Palace, formerly known as the Sajjan Garh Palace, is located at hilltop, overlooking the lake Pichola. 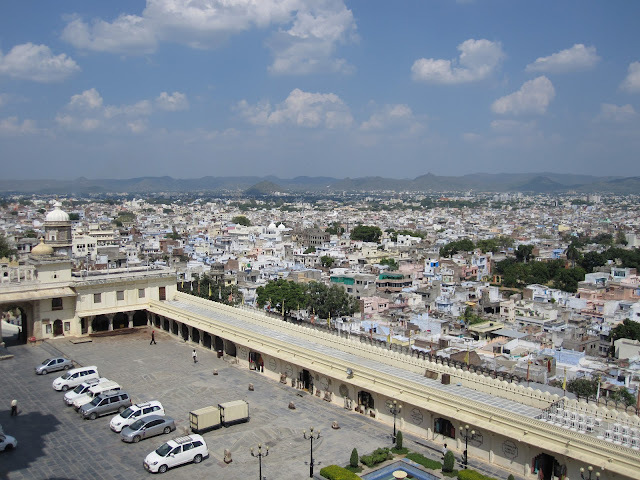 It is named as Sajjangarh after Maharana Sajjan Singh (1874–1884) of the Mewar Dynasty, who built it in 1884. It offers a panoramic view of the city's lakes, palaces and surrounding countryside. It was built basically to watch the monsoon clouds; hence, appropriately, it is popularly known as Monsoon Palace. It is said that the Maharana built it at the top of the hill to get a view of his ancestral home of Chittaurgarh. 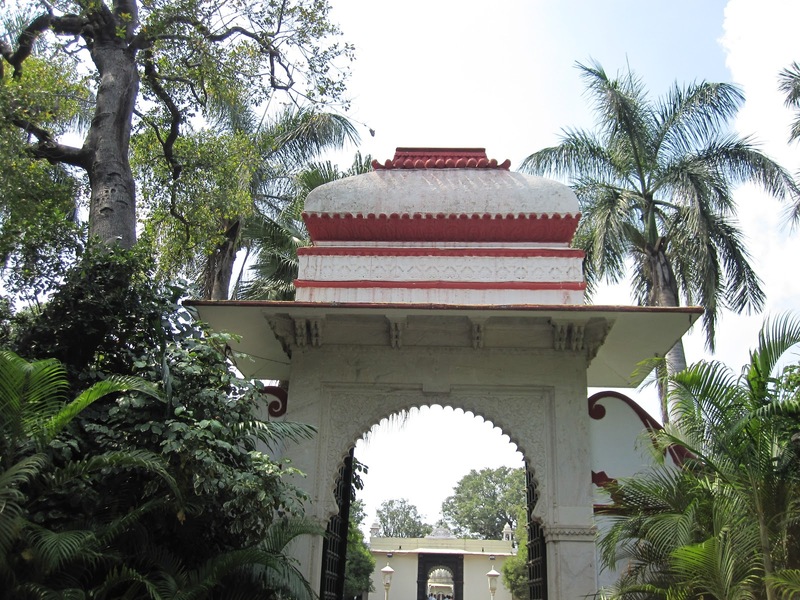 Previously owned by the Mewar royal family, it is now under the control of the Forest Department of the Government of Rajasthan and has been opened to the public recently. The palace provides a beautiful view of the sunset. I kept looking at it by far and wondered what it would be like to live there. After a long day, we both slept early that night and woke up fresh again to cover few places which were still on the list. Instead of getting an auto, we chose to walk and reached Gulab Bagh. Again, it was a garden but what brought us here was a Zoo. To our astonishment, we saw lion, ostrich, ducks, snakes, peacocks, deers, beer. 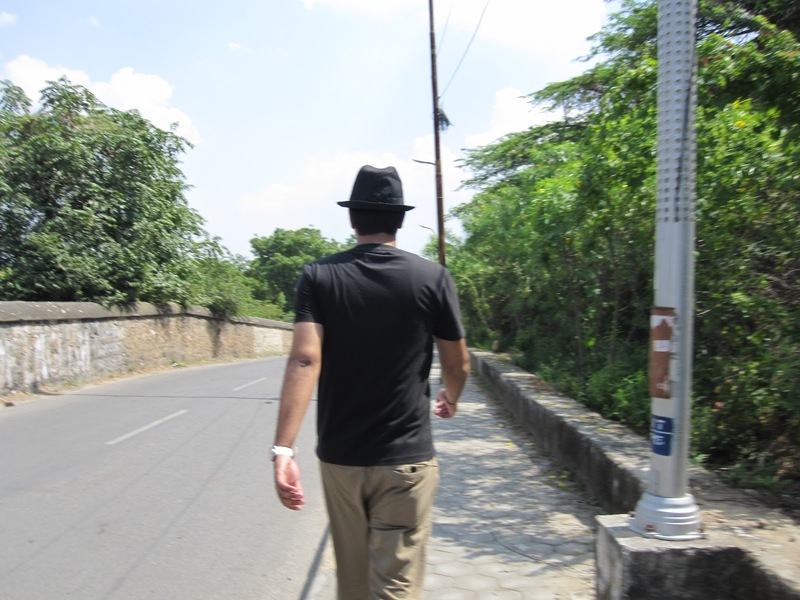 We relaxed for a while and later visited local markets of Udaipur. 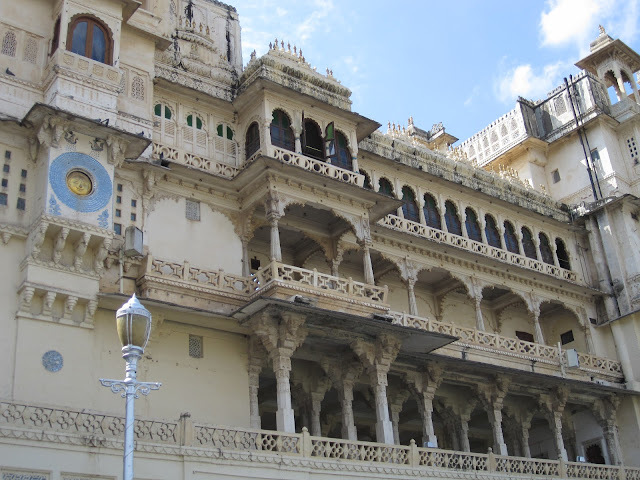 It was our last day in Udaipur and we returned to our hotel for lunch. We said Goodbye to our hotel and reached Udaipur's railway station. Sitting at our seats, we looked at the pictures we captured in our Canon and said goodbye to Udaipur. The colors, the music, the culture we experienced will always remain in our hearts. 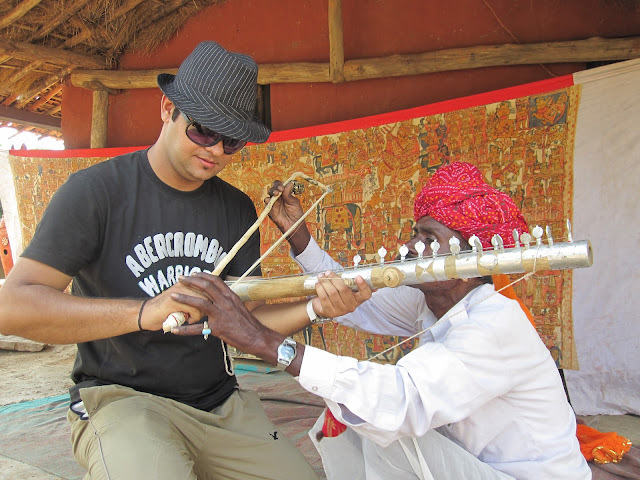 Rajasthan; and its royalty and warmth can never be forgotten. The train started to move and so were our thoughts which made us realize that someone is waiting for us with open arms, our city, New Delhi. Wonderful post! I have been to the city of lakes-Udaipur twice when I was a kid. I still have fresh memories of the lovely place! Beautifully written. :) Take care! Hi, saw your posts on indiblogger and reached here. Nice description of the city.. but I would like to add something from my side also as recently I was there for 2 months. well u missed some exotic beauties such as "Badi Talaab", " Neemach Mata Temple", Ropeway of Doodhtalai" and of course a ride in Lake Pichhola. Thanks Bhavana, I surely have missed these places, but I do not regret this. Actually, I think other way around. I would rather spend quality time at a place which fascinates me rather than rushing to all the places. I know there were many more places, but in the given time span, I could cover these places only. Well, I guess that's a difference between a traveler and a tourist. :). And yes, I went to Sukhadiya circle. But I will make sure to see the places which I missed if I get a chance to visit again. beautiful clicks and your description! Thanks Simran.. Even my wife loved Fatehsagar lake and specially Saheliyon ki badi..
That was lovely! Did you not visit the car museum? Nice post.. Udaipur is definitely on my menu next time.. Thanks Deepak. Do visit and let me know your experience. 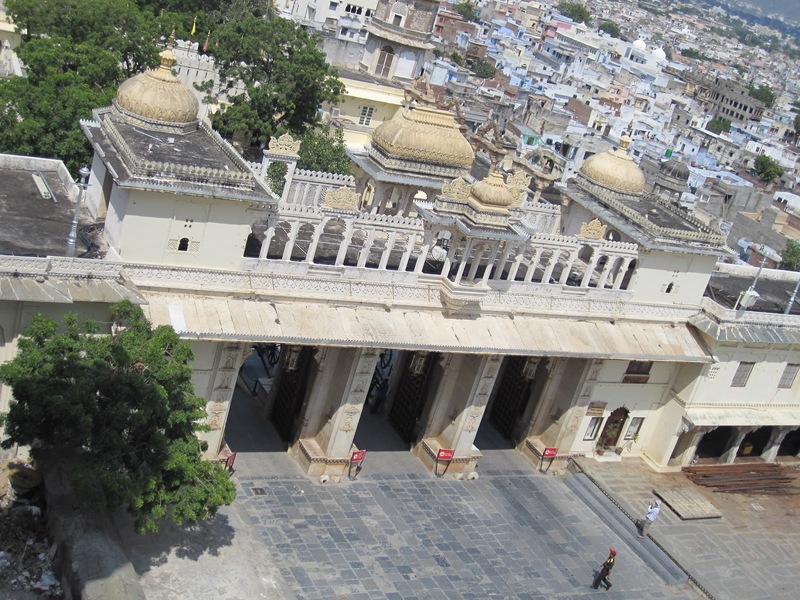 Udaipur is often called ‘Venice of the East’. It is also the ‘city of lakes’. The Lake Palace (Jag Niwas) located in the middle of Pichola Lake is the finest example of architectural and cultural marvel. The grand City Palace on the banks of the lake along with the Monsoon Palace (Sajjan Garh) on the hill above enhances the beauty of this magnificent city. Udaipur is also the centre for performing arts, crafts and its famed miniature paintings. The Shilpgram festival is a great crowd-puller on new year. Maharana Udai Singh founded Udaipur in 1559 AD.According to alegend Udai Singh was guided by a holy man meditating on the hill near Pichola Lake to establish his capital on that very spot. Surrounded by Aravali Ranges, forests and lakes this place was less vulnerable to external invasion than Chittaurgarh. Maharana Udai Singh died in 1572 and was succeeded by Maharana Pratap who valiantly defended Udaipur fromMughal attacks. Maharana Pratap is the most revered Rajput iconwho gallantly fought the Mughals at the battle ofHaldighati in 1576. Mewar continuously defied foreign invaders and has a history of bloody battles until the British intervention in the nineteenth century when a treaty was signed to protect Udaipur. Upon independence, Udaipur merged with the union of India. Me and my husband are also planning to goto Udaipur since a long time but never worked out. where did you stay? any reccos? Thank you for visiting my blog. Following you through GFC. 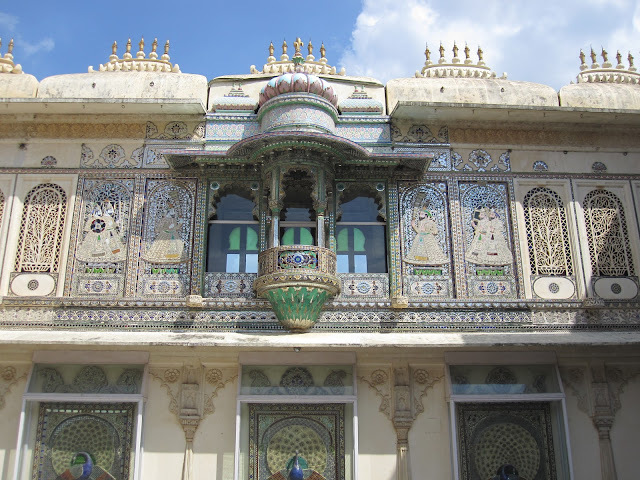 we stayed in hotel mewar haveli. hotel was nice and was near to city palace, bagore ki haveli and had an awesome view of lake pichola. hotel was nice and clean. recommended as a decent accommodation. Very nice post! I missed out on that village...shilpgram...is it near fatehsagar lake?? Udaipur is full of interesting places, I guess. Yes Renuka, it is near Fatehsagar lake, a lovely theme based village maintained by Govt. Well, you have the reason to go there again. Even I missed lot of places there. Thanks for your lovely comment. Hi Himanshu thank you for your positive comment on my blog! You post is real good, personal touch. Love your writing skills. Will try to visit your blog more often. we missed out on Saheliyon ki badi . We just did the lakes coz of time constraints . Wonderful pics !!!! Shilpgram sounds neat . Sounds like an amazing trip. Beautiful Pictures. Thanks Himanshu for sharing me this beautiful article. I really enjoyed. 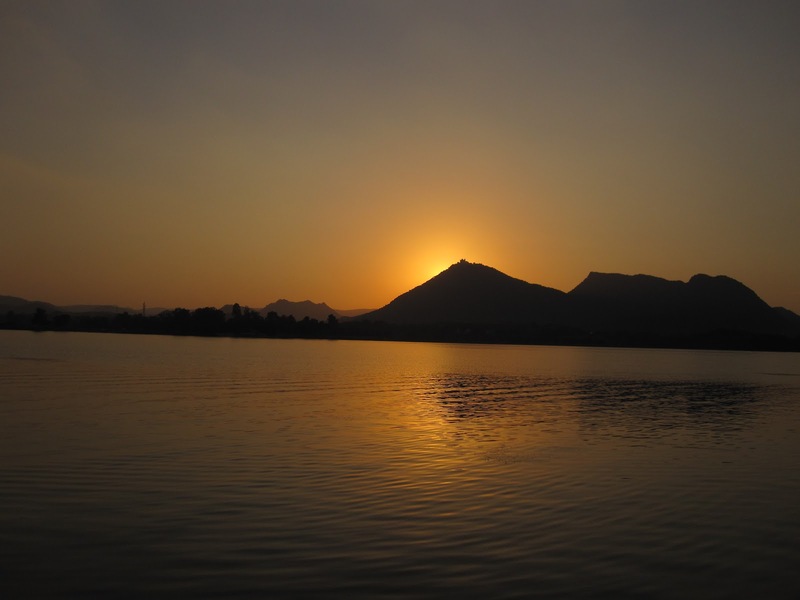 Udaipur Really presenting Royal Rajgarana and lakes. This post reminds me of the days when I was here.. trust me those were the best days of my life.. Thnx to #padharoudaipur App & team for helping in booking hotels and recommending places to shop and explore! App useful for both locals and tourists..Thanks for sharing this, was very informative and helpful. Udaipur is the best city of Rajasthan. I love the hotels and palaces over here! they are so luxurious and romantic. It is a perfect destination fir marriage as it has great hotels for that. thanks to padharo app which helped me book all my hotels and parking spaces. Like this post? Say it here! Himanshu Nagpal. Picture Window theme. Theme images by urbancow. Powered by Blogger. Being Traveler by Himanshu Nagpal is licensed under a Creative Commons Attribution 3.0 Unported License.